Mr. Incredible aka Bob Parr is married to Helen and he has three kids – Violet, Dash and Jack Jack. His whole family has super powers and therefore are super heros called The Incredibles. 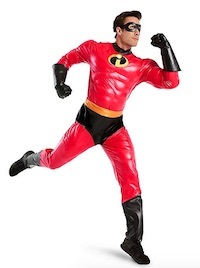 Mr. Incredible’s super powers is that he has super human strength and invulnerability. 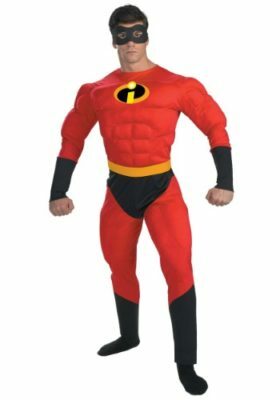 His wife Helen is Elastigirl, daughter Violet can become invisible and has the ability the control objects, Dash is super fast and his son Jack Jack is the most powerful of them all. Bob, Mr. 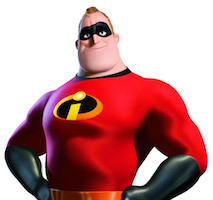 Incredible has the personality of a typical male hero, very arrogant and wants to take all the responsibilities and take care of the family. But since he had a family full of super heros, he’s had to share the responsibilities and trust others to help as well. Below find Mr. Incredible costume ideas. 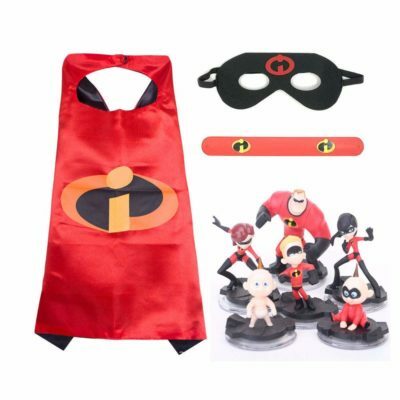 You can dress up the whole family in The Incredibles and be a super power family. With this Adult Mr. 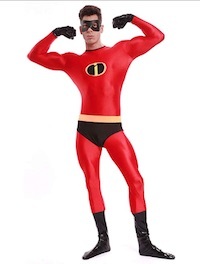 Incredible costume you can continue the legendary heroics of the great Pixar superhero and make it back just in time for dinner with the family and that track meet that Dash has on Saturday. The Mr. Incredible costume comes complete with muscle chest jumpsuit that has a Velcro closure in the back. 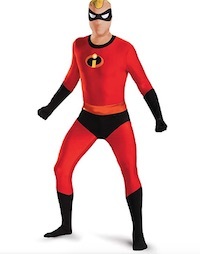 uit up and save the day, Incredible-style with this Adult Incredibles T-Shirt Costume. 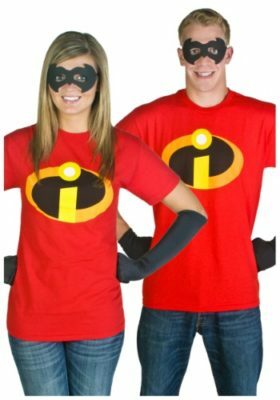 This officially licensed Incredibles t-shirt is perfect for men and women alike and gives you a simple yet convincing costume for Halloween. 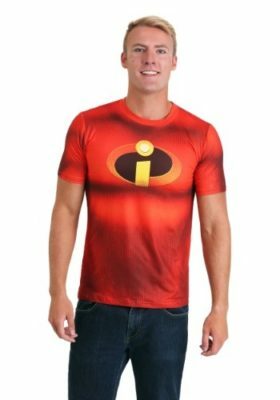 The shirt is 100% cotton and has the Incredibles logo printed on the front. 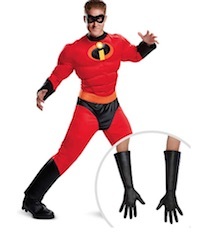 Add a black eye mask and a pair of black gloves and you’ll be ready to save the day this Halloween! Click here to get the Adult Mrs and Mr. Incredible T-shirt Costume. You’ll be able to leap into action as Mr. Incredible in this officially licensed, authentic Mr. Incredible costume! If you’ve always felt like you were born to save the world, then this is the costume for you. The 100% polyester jumpsuit has a fiberfill stuffed muscle chest (not that you need it!) as well as a Velcro closure in the back. The jumpsuit is outfitted with black briefs and writes and ankle cuffs and the black foam eye mask will help you hide your true identity. You can save the day and keep your family safe to boot! Have a great time with this officially licensed Mr. 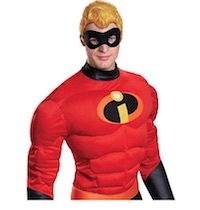 Incredible Deluxe Muscle Plus Size Costume. Add pair of black gloves and boots to go truly incognito this Halloween! This is an officially licensed jumpsuit to look like Mr. Incredible in The Incredibles. It has a zipper down the front and embroidered stitching on the logo. The eye mask is included. Click here to get the Adult Incredibles Mr. Incredible Jumpsuit. 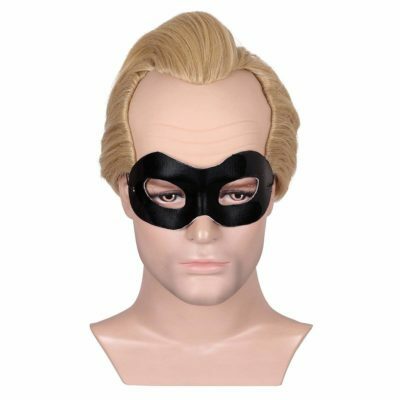 A mens blond wig and eye mask to match the costume to look like Mr. Incredible. Click here to get Mr. Incredible Wig. The Incredibles 2 are back !!! to amuse all the kids and the fans that love these characters of the new Disney movie. They are action figures, perfect for playing and having fun. It can also be used for a great Birthday Celebration and Halloween costume party; decorating your party with your favorite character Mr. and Mrs. Incredible, Violet, Dash, Jack-Jack and dress up like the character Let your children enjoy these beautiful characters. You will be in the best crime-fighting shape when you wear our Mr. Incredible Muscle Costume this season. This instantly recognized black and red jumpsuit features muscular padding with the “I” logo in the center of the chest. When you’re ready to save the neighborhood, be sure to slip on the black gloves, the boot covers and the face mask. This officially licensed Disney costume for men is plus size and will ward off any would be villains. Click here to get the Mr. 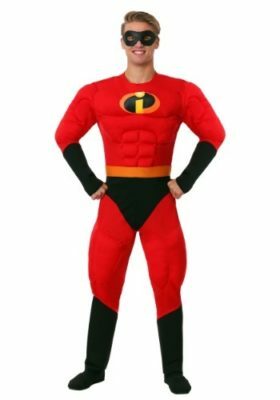 Incredible Muscle Halloween Costume for Men. 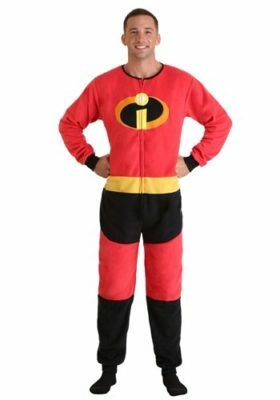 Click here to get the Incredibles 2 Mr. Incredibles Costume for Adults. 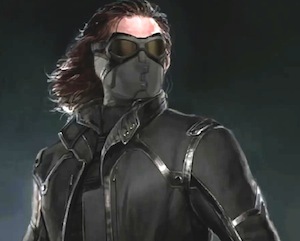 This costume kit includes jumpsuit, eyemask and a pair of gloves. Perfect for Halloween, Birthday parties and more. This suit is made of lycra which is full of elasticity, it can fit you very well. This is for the fit version of Mr. Incredible. Put this costume and go save the world. Click here to get the Mr. Incredible Spandex Costume. One adult wig. Styled with Mr. Incredible’s iconic waved curl. 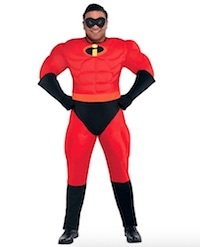 Click here to get the Incredibles Mr. Incredible Costume Wig.